What Does The Rise Of ‘Dark Tourism’ Mean? 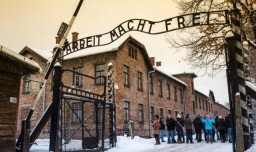 Even for those who have no intimate connection to Jewish history, Auschwitz and other confronting destinations are now de rigueur on many holiday itineraries. Why this willingness to confront ourselves morally? It’s difficult to generalise what motivates people to choose greyer shades of travel. Richard Sharpley, professor of tourism and development at the University of Central Lancashire in the UK, suggests that in the increasingly secular west, people are replacing the void left by the rejection of structured religious practice with new forms of meaning making.